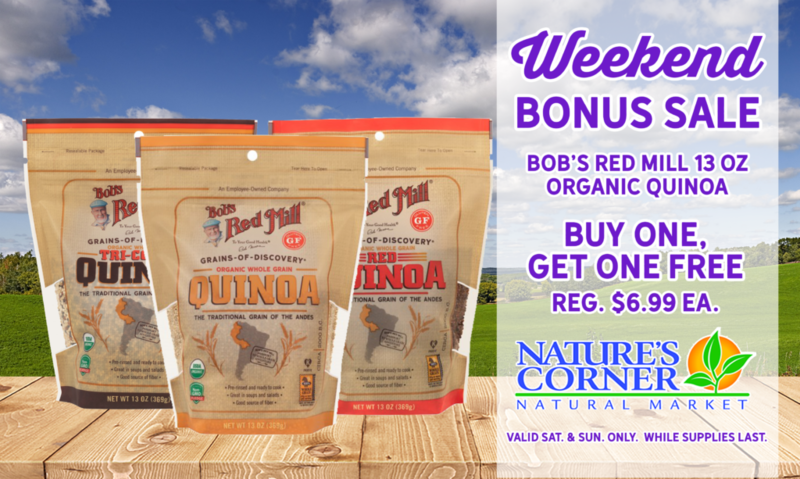 This weekend, Saturday, November 3rd – Sunday, November 4th, Bob’s Red Mill Organic Quinoa (13 oz. bags) will be Buy One, Get One FREE! Quinoa is gluten-free and has a nutty flavor that’s delicious in pilafs, salads, soups and stir fries. It’s also a good source of iron and offers high-quality protein!